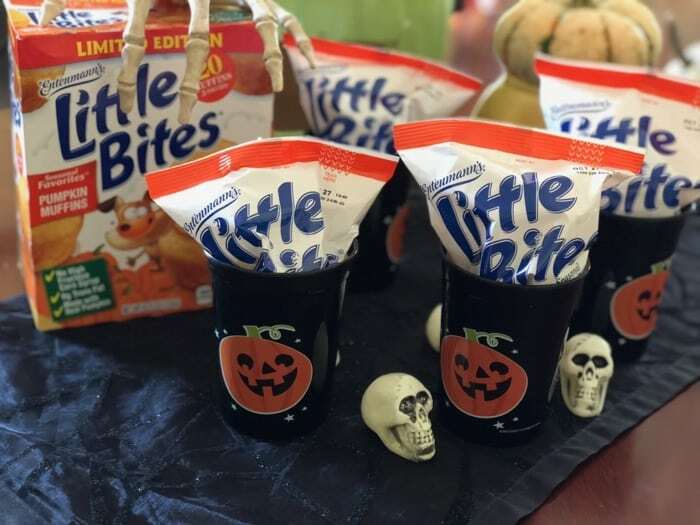 Thanks to Entenmann’s® Little Bites® for sponsoring this GIVEAWAY and post about Simple Pumpkin Party Favors for Fall or Halloween. Fall time screams out pumpkin spice and all things baked up nice. Now you can get your kids in the mood for all things pumpkin too with the delicious seasonal favorite – Entenmann’s® Little Bites® Pumpkin Muffins! 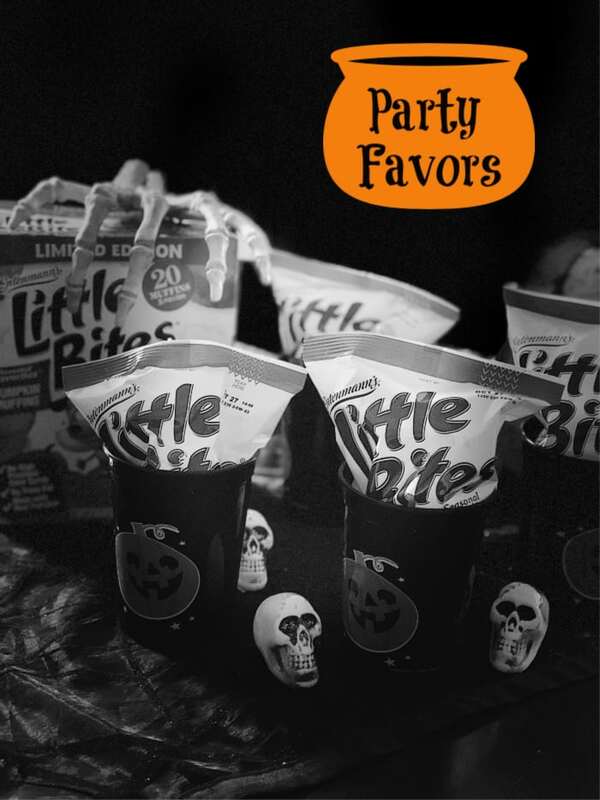 Throw them in a lunch box or better yet make these super simple Halloween or Pumpkin Party Party favors. I love party favors that are edible and delicious. Plus they can use the cup for other things as well. These flavorful muffins are baked soft and moist using real pumpkins and come in convenient, pre-portioned pouches that make them the perfect seasonal lunchtime snack. Are you ready for this super complicated Halloween DIY? Simply purchase some inexpensive themed plastic cups at your local store. We found 4 for 79c. Are you sweating yet? I know our tutorials are usually less stressful…. If you want to dress up your display with skeletons or pumpkins go for it. Otherwise just put them in a basket and pass out after your party. If you don’t like giving out candy at Halloween. 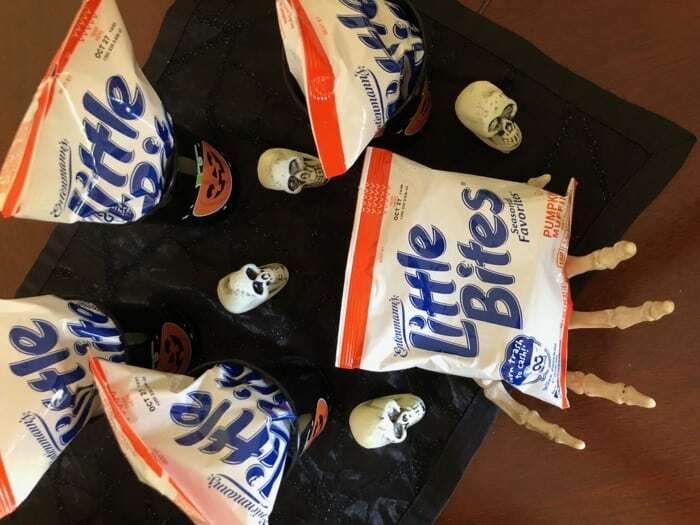 These Pumpkin Entenmann’s® Little Bites® are a great non candy trick or treat item both the kids and parents will appreciate. Now that you have your party favors set for the fall, we have two great ways you can be a winner. Host a giveaway on Twitter for a reader of your choice to receive three coupons, each valid for $5.00 off the purchase of Entenmann’s® Little Bites®, and a $25 gift card to purchase additional Entenmann’s® Little Bites®. Simply enter the Rafflecopter Below to win. the blueberry muffin is my favorite! I had some today! My kids love the brownie bites while I love the blueberry muffin bites. The Blueberry Mini Muffins are my favorite! My favorite flavor is the pumpkin flavor! I really love the chocolate brownie ones.. I most like chocolate chip. My all time favorite Little Bite is a seasonal flavor they come out with around Christmas which is snickerdoodle. It is amazing. I like the fudge brownies flavor. I love the chocolate chip flavor the best. My favorite flavor is Pumpkin Muffins. 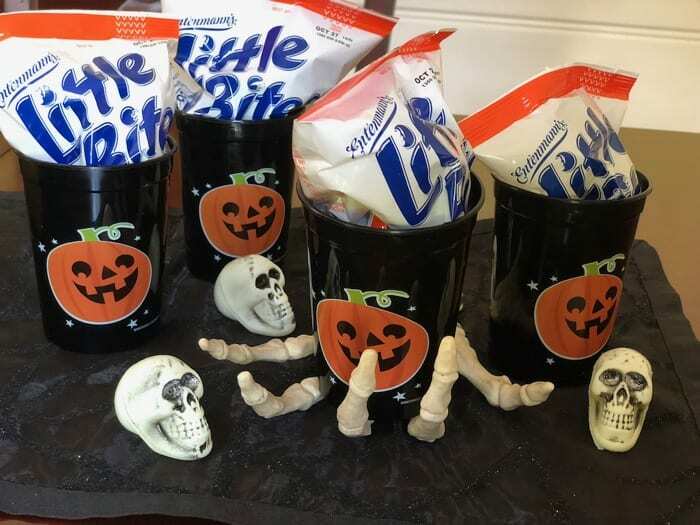 My favorite Little Bite Flavor would be the Pumpkin flavor, my son loves the Chocolate Chip Flavor. I love the blueberry ones. I love the Little Bites snickerdoodle muffins! Fudge Brownie! Thank you for the chance to win. Blueberry is my favorite flavor of Little Bites. My favorite little bite flavor is Banana. What is your favorite Little Bite Flavor? Blueberry!!! I haven’t tried them, but strawberry yogurt sounds the best to me. My favorite is the Chocolate Brownie Little Bites. My favorite is the crumb cake! The blueberry is very yummy. I know it’s a lot better than a heavy snack. Mine is chocolate chip but the rest of the family’s is blueberry! I love the blueberry, second is chocolate chip. I wonder if they’ll ever make a Blueberry Chocolate Chip flavor?! I like their blueberry muffins. My kids love the brownie bites. My favorite is the party cake, but I also like the crumb cake variety, especially when it is warmed in the microwave for a few seconds. I love ALL of their products but my favorite is the Party Cakes! The Chocolate Chip muffin Little Bites are my favorite.